Is a place of ancient barrows, mystical woodland, beautiful formal gardens, listed monuments, forts, chapels and holy wells dotted along a wild and remote coastline above secret beaches and smugglers’ coves. Whatever you’re looking for from your holiday or short break, we can offer it here at Mount Edgcumbe. Our historic buildings nestled amongst the sea coast, river banks, open grassland and wooded valleys provide the perfect venue for a getaway. Whether it’s a cosy one bedroom overlooking Drakes Island, a spacious two bedroom in Grade II listed building or a beautiful four bedroom cottage there’s plenty to choose from. With four sympathetically renovated holiday properties now available – Cremyll Lodge a one bedroom, Horseshoe Cottage and Yew Tree Cottage both two bedroom properties and Lady Emma’s Cottage with four bedrooms – there is something to suit everyone. If you prefer the outdoor life, but are still looking for a touch of luxury, relax by the fire pit watching the sun go down over the Tamar Valley, Area of Outstanding Natural Beauty whilst staying in one of our bespoke shepherds huts by Plank Bridge. 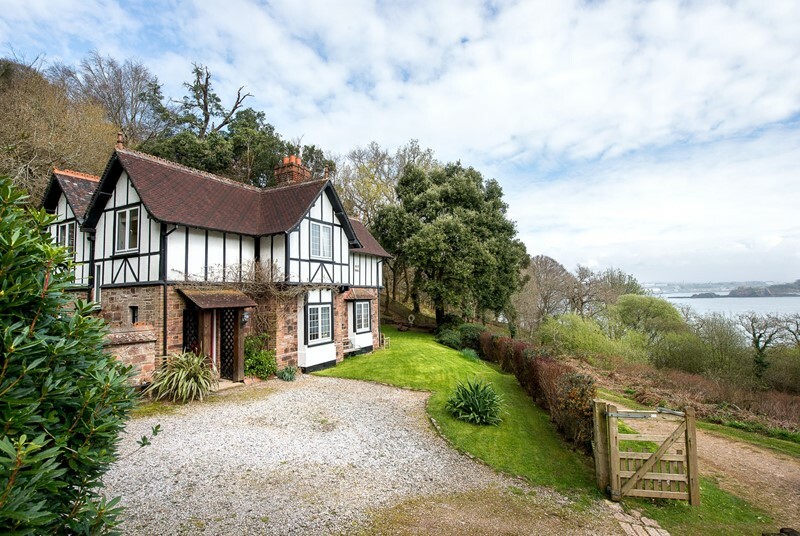 Nestled in its own garden within the Mount Edgcumbe Country Park, this is a charming retreat. Yew Tree Cottage is a two bedroom cottage spread over two and a half floors and can found in the bustling Barrow Centre, next to the main house. These shepherd huts have a distinct vintage feel and are perfect for that “swallows and amazons” getaway for all the family.